Lanette White of Beach 137th Street in Far Rockaway is anxious for the power to come back so she can get back to her hobby -- baking cupcakes! Despite the fact that Lanette White has been living with her family of four in the cramped front room of their first floor apartment on Beach 137th Street in Far Rockaway, and despite the fact that nearly everything she owns that wasn’t damaged in the Sandy’s historic flooding is in stacks in her living room, and despite the fact that she still has no idea when her home will have power again, already without it for 22 days, Mrs. White was in relatively high spirits on Saturday afternoon. The front of the house is chilly in the low 50 degree weather, but in the back of the house, where flood waters rose as high as 7 feet, the air is hot, thick and damp -- not an ideal living situation for her 15-year-old son and 8-year-old daughter. 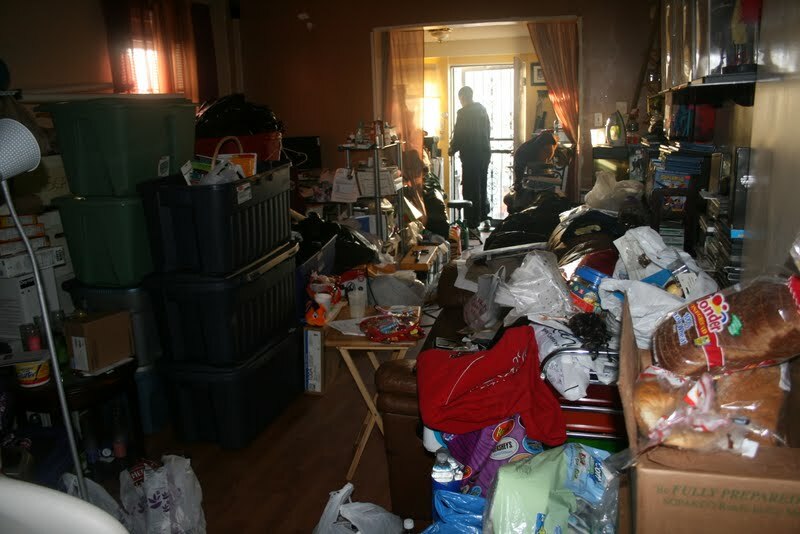 “We’ve been approved for FEMA rental assistance, but...” White trailed off, unsure of exactly what the holdup is, what is keeping her family living in a home with mold growing on all surfaces. White runs a small business from her home, appropriately called, “It’s Just My Hobby,” baking cupcakes and other goods. Without power, her business plans have been put on a temporary hiatus, and large buckets of fondant, and princess and superhero cupcake liners -- “I need those for school bake sales, I’ve got to have whatever the kids ask for,” said White -- are now stacked in her tiny kitchen while the oven door stays open all day, serving as her home’s only source of heat. The White family has been surviving on bucket baths, high spirits and a lot of help from strangers. “It would be easier for me to count the days that we haven’t had volunteers. Just yesterday volunteers helped clear out my daughter’s bedroom. When I wake up in the morning, I think, how are we going to do this, and then there’s a knock on the door,” White explained. 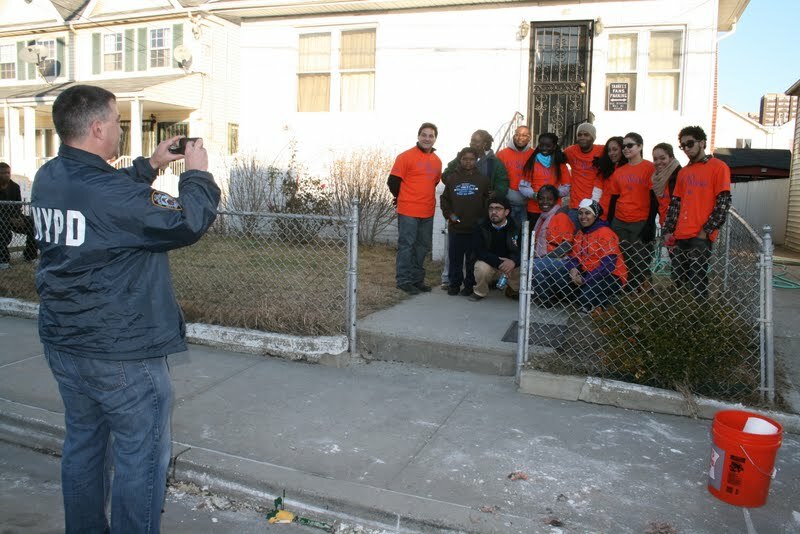 On Saturday, a group of students in bright orange shirts reading “CUNY Works” helped White remove damaged property and clean up her home as best as possible. Teams of students from various CUNY colleges have been sent out in groups of 10, over 7,700 all together, on a weekend basis to take a chunk out of the mounting workload created by Sandy, according to David Besito, a senior studying social work at Lehman College. CUNY Works is a project organized in collaboration with the City Council’s Office. “We go door-to-door, knocking, finding people who need our help,” explains Tasnim I., a senior political science and economics major at City College. There haven’t been many people who have turned them down. 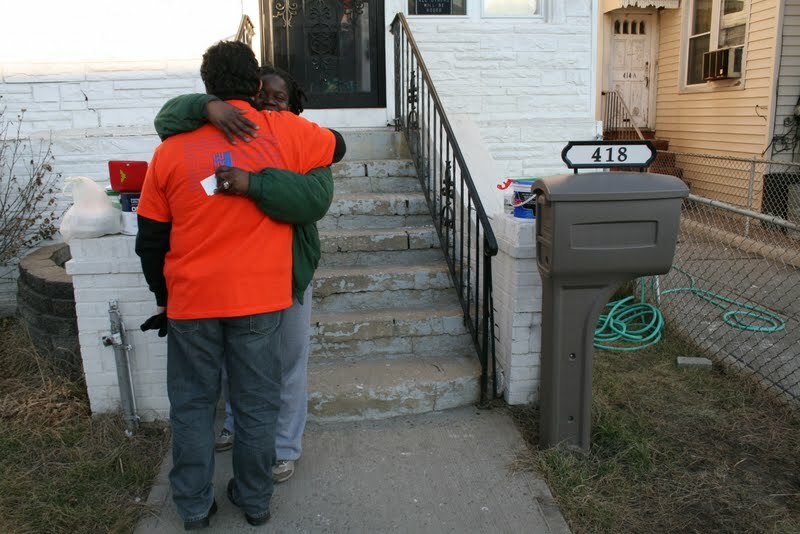 “We’ve had so much help, that at the end of the day when someone asks, ‘What can we do?’ all I can ask for is a hug. Just give us a hug!” White said. LIPA has yet to reveal a timeframe for residents of the Rockaways to expect services to be fully restored. While 99 percent of customers now have power, LIPA is still working to safely restore power to flood-damaged areas along the South Shore, including the entire Rockaway Peninsula. Share your thoughts on this article by posting your comment below, or by visiting our Long Island Living discussion forum. Subject: LongIsland.com - Your Name sent you Article details of "Three Weeks Without Power, But Spirits Remain High"